Runner Rugs - Experience The Exceptional Range of Rugs At Carpet Court! Carpet Court has a huge variety of rugs to choose from, from traditional to contemporary, in classic neutrals or bold colours. Before deciding which style rug is right for you, there a few lifestyle factors you should consider. Think about who will be living in the space, how robust do the areas need to be to withstand foot traffic and moving of furniture? Also, if your family suffers from allergies, you should look towards a non-shedding option. Browse Carpet Court's unique range of rug designs and find the perfect style for your home and lifestyle. What unique rug shapes are available? Carpet Court’s range of rugs for every area of the home come in a variety of shapes and sizes to suit sprawling open-plan mansions, alfresco dining spaces or the adorable nooks and crannies found in cottage homes. While many rugs are traditionally rectangular, round, square or runner shapes, occasionally you will find a unique rug like Stellar Natural, a cute and funky star-shaped rug from the Atrium Jute range of rugs. Tessellate Natural is another uniquely shaped rug from the Atrium Jute collection bringing geometric interest to the room in organic, natural fibres. Made in India, these flat woven, 100% natural jute rugs are reversible and an affordable way to bring a unique element to the room. Why should you choose a uniquely shaped rug? You may have a uniquely shaped area in the home which lends itself to an irregular rug. Small bay windows in bedrooms or living areas are ideal for uniquely shaped rugs. Large bathrooms, in front of kitchen benches, outdoor entertaining areas, entrance hallways – these are all areas within the home which can be enhanced by a uniquely shaped rug. An irregular rug has the ability to define an area and create featured interest to an otherwise bland location, or to blend nicely within the space and simply ‘finish’ the look. Think of a home unit with a small bay window – rugs such as Stellar Natural or Tessellate Natural can define a dining nook in this area of an otherwise straightforward room without dominating the space. A simple rectangular lounge room with angular furniture becomes notably softer with a unique rug shaped like animal hide, for example. How can I pick the right rug shape for my space? Rug size is perhaps more important than rug shape, because the shape can either match or contrast with the shape of the room and the furniture within it. Interior stylists recommend making sure your rug is big enough to contain the furniture in the space. So, in a dining space you want a rug that sits wider than all the chairs when they are in use. Depending on the dimensions of the room and the relative size of the dining suite, a variety of rug shapes can work beneath any dining suite. The same applies to your lounge and how you choose to arrange the lounge room furniture on or around the rug. Remember, you can be adventurous and create flair, soften angles and add dimensions to a room using rugs of different shapes, textures and sizes. 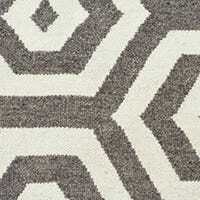 Are there affordable rug styles available? With so many different fibres, designs, textures, colours and sizes available in our rug collection, there are sure to be many affordable rugs which transform your interior with their rugged good looks! Browse the website to see suitable rugs within your budget. 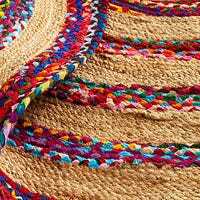 To make our spectacular rug collection even more affordable, we offer a range of easy payment options as well as the popular Afterpay payment service. This convenient payment process means you can pay for your gorgeous new rug in four easy instalments! Helpful information is available regarding free rug delivery in line with our delivery policy, and our rug return policy is also available. Can I see these rugs in-store? As our growing chain of over 200 stores throughout Australia are locally owned and operated, not every store owner finds themselves able to display our vast rug collection within their showrooms along with all the luxurious carpets, blinds and floating floor range of products. Click here to find the location of your nearest store and clarify if they are also a rug stockist. With so many showrooms around the country there is sure to be one near you with a fabulous display of rugs available, but if you opt to make an easy online rug purchase our friendly and helpful instore sales staff will happily provide expert advice in relation to your rug selection and guide you through the process.